Toshiba America Business Solutions today introduced the world's first hybrid copier capable of producing erasable as well as standard monochrome prints. Featuring Toshiba's proprietary erasable toner, the e-STUDIO™4508LP enables paper reuse by erasing all printed content on the page. Aside from optimizing sustainability initiatives, the e-STUDIO4508LP allows organizations to function more affordably and efficiently while minimizing paper use. Content produced using the hybrid copier's blue toner is erased by simply loading pages into a designated cassette or the bypass tray and pressing the Erase button on the e-STUDIO4508LP's front panel. Content may also be erased using the optional paper reusing device, the e-STUDIORD301, which also scans and files documents and sorts reusable paper. 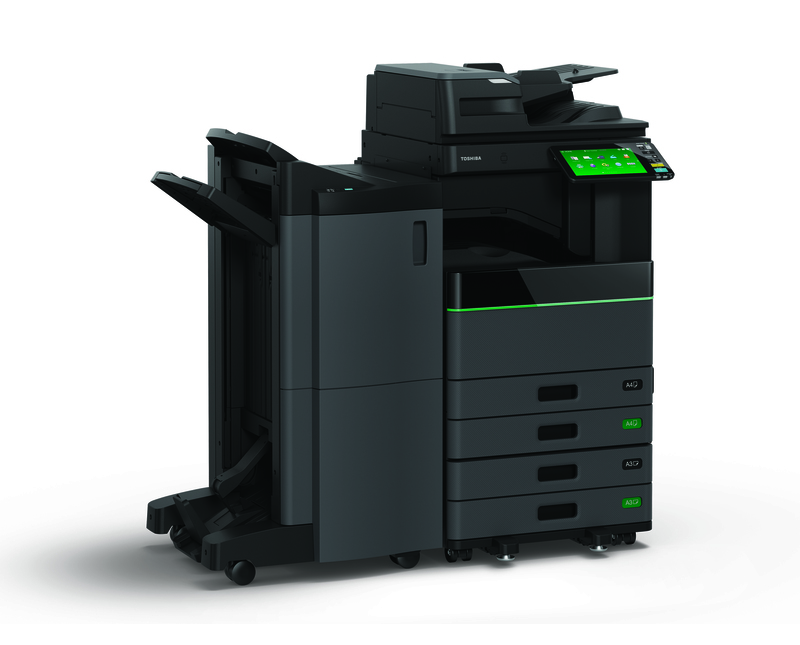 "In today's competitive and environmentally-conscious landscape, Toshiba demonstrates strength in innovation with the launch of its e-STUDIO4508LP, the industry's first hybrid MFP that prints in both black and white and erasable blue," Valerie Alde-Hayman, industry analyst at gap intelligence. "This new technology evolves Toshiba's hybrid MFP line and will enable a wider range of customers to reduce their environmental impact while also maintaining access to standard monochrome printing." Toshiba's hybrid copier's rules-based printing feature enables users to select toner setting defaults based on the application. Now printing temporary items, such as emails or documents for proofreading, may be designated in erasable toner (at 35 pages-per-minute) to conserve paper. While more permanent documents such as receipts, insurance and on-boarding forms may designated for monochrome output (at 45 pages-per-minute). Additionally, the product's e-BRIDGE™ Paper Reuse Report summarizes paper reduction and provides additional insight into an organization's environmental impact. Toshiba further underscores its ecological commitment by providing customers free toner recycling via its “Zero Waste to Landfill” program. Beyond accepting its own toner, Toshiba recycles any other branded toner cartridge via its partnership with internationally-recognized recycler, Close the Loop. "The introduction of our hybrid copier helps organizations operate in a more ecologically friendly manner," said Bill Melo, Toshiba America Business Solutions chief marketing executive. "Rather than simply recycling paper used to print temporary documents, organizations are now able to erase and reuse that paper with the touch of a button." The company's e-STUDIO4508LP is currently available for $15,420 through authorized Toshiba dealers. To locate an authorized Toshiba dealer in your area, visit www.business.toshiba.com.